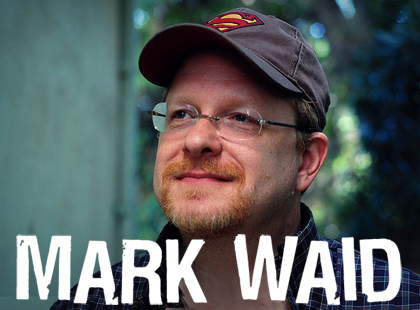 We’re happy to welcome Mark Waid back to HeroesCon in 2014! Mark’s been to our con many times, but it’s been a few years since his last visit. In that time, he’s brought a swashbuckling Daredevil back to popularity, and taken Bruce Banner in a new direction over in Indestructible Hulk. 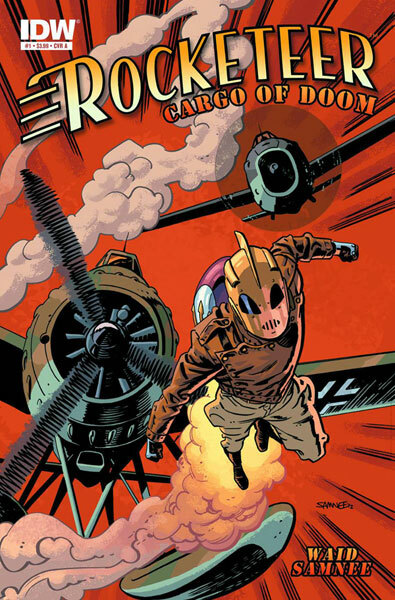 He also wrote Dave Stevens’ beloved character in Rocketeer: Cargo of Doom and in the current Rocketeer/Spirit: Pulp Friction miniseries. Before that, he wrote just about every character for every publisher, including acclaimed work on Flash, Irredeemable, Fantastic Four, Impulse, Kingdom Come, Captain America, and more. And if that’s not an impressive enough resume, Waid also worked as an editor for both DC and Boom Studios, and is a co-founder of the digital comics site Thrillbent. Waid is both encyclopedic and prolific, and we’re excited that he’ll be with us next summer. HeroesCon 2014 will take place June 20-22. Stay tuned to this very blog for all of our upcoming guest announcements. 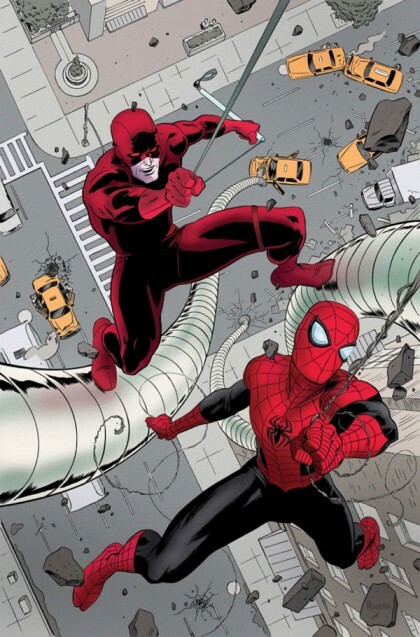 JUSTIN’S PICK :: DAREDEVIL #17: While I’ll be the first to admit that a rotating cast of artists can be frustrating on any book, it also works out sometimes, offering a wealth of stylistic diversity in one handy series. 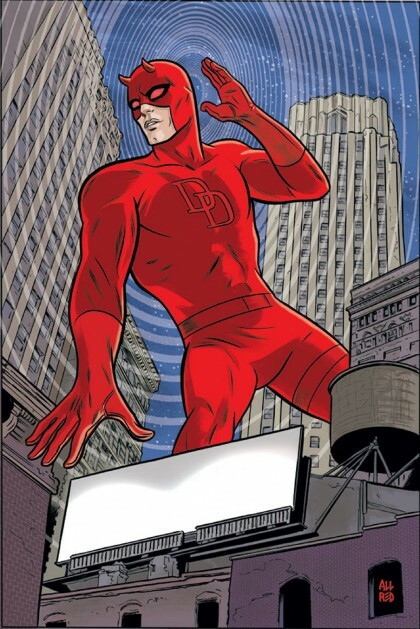 And if Mark Waid wasn’t already a big enough draw to get you to peek at Marvel’s new-ish Daredevil reboot, how ’bout an issue drawn by the one, the only, Madman Mike Allred! 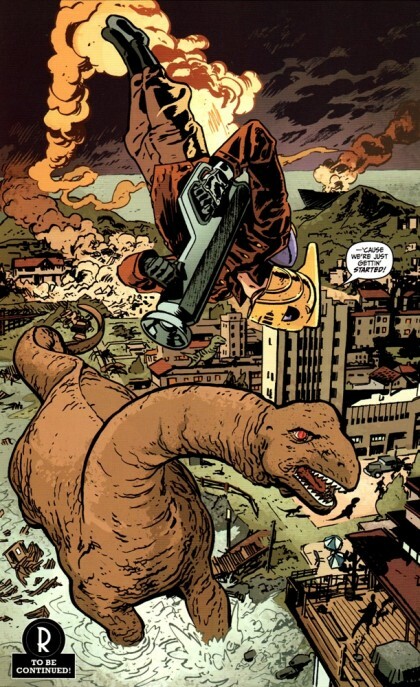 Plus: Stilt-Man! Who doesn’t love Stilt-Man?